Today I am hosting author Juanita Aydlette and her new book, Its In The Blood. Typically I do not read very many first person point of view books but I have to tell you that just by reading Juanita’s excerpt and blurb, I am more than ready to go right out and buy this book. And I think that once you read this blog, you will be too. Enjoy! When Gabrielle Madsen accompanies her parents on a three month trip to Africa, she is in for a pretty unique summer. As a botany major in college, her first interest is to hopefully discover a new plant species during her visit. Her discovery, however, tips her world on its axis. Being a very naïve and dangerously curious young woman, she accepts a sight-seeing invitation from strangers that she met in her hotel lobby. This little escapade sets off a chain of events that changes the course of her life forever. She instantly falls for one of the group’s members named Joshua Van Ness. Very quickly, their relationship excels. Joshua and his twin sister, Christina, are descendants of an ancient Brazilian tribe, and they have a deadly secret. Gabby’s curiosity about Josh heats up and puts her life in danger. Will the dark forces that wish to possess Josh and his sister—view Gabby as an extra bonus? Is this summer love worth the risk? Chris swerved like a mad woman following the narrow path. Then she made a quick detour off the man-made trail. Once again my arms and legs were being slapped mercilessly by overgrown shrubbery—fresh cuts appeared. There was no cleared path, but Christina didn’t falter reaching her destination. The four of us had ventured much farther into the jungle than I’d realized, and now she was going even deeper—but in a different direction. the light. I inhaled and coughed—nearly choking—hacking up something which had flown up my nose and down into my throat. “I don’t believe this.” I shook my head in total bewilderment as I followed my sister-in-law’s direct orders. Where was her head? I knew that, though medicinal plants have been used throughout the ages, the healing process is a slow one. The antibiotic properties in some plants are very minute and they require a lot more frequent and larger doses in order to work. Most plants, the leaves are crushed and boiled in water to make a tea. of a different pair of yellow lights gleaming in the dark from behind her in the distance. My expression conveyed the unmistakable message—we were not alone. a matching pair of eyes—head on, and an even louder, more terrifying roar. Amy-How did you come up with the title of your book? Juanita-I had actually written about a hundred pages before I came up with the title. I sort of let the story lead me to it. Amy-What inspired you to become a writer? Juanita-I have always wanted to write, but I really decided to take the plunge after reading Stephanie Meyer’s novels. By the time I finished reading BREAKING DAWN, my mind was made up. My first novel was actually one that I wrote to see if I really had “the stuff” to write. It was a 321 page sequel to her book BREAKING DAWN. At the same time, I started writing IT’S IN THE BLOOD. The sequel is in a box on my book shelf. I let a few people read it and they loved it. Amy-Who has been the biggest supporter of your writing? My first novel was actually one that I wrote to see if I really had “the stuff” to write. It was a 321 page sequel to her book BREAKING DAWN. At the same time, I started writing IT’S IN THE BLOOD. The sequel is in a box on my book shelf. I let a few people read it and they loved it. 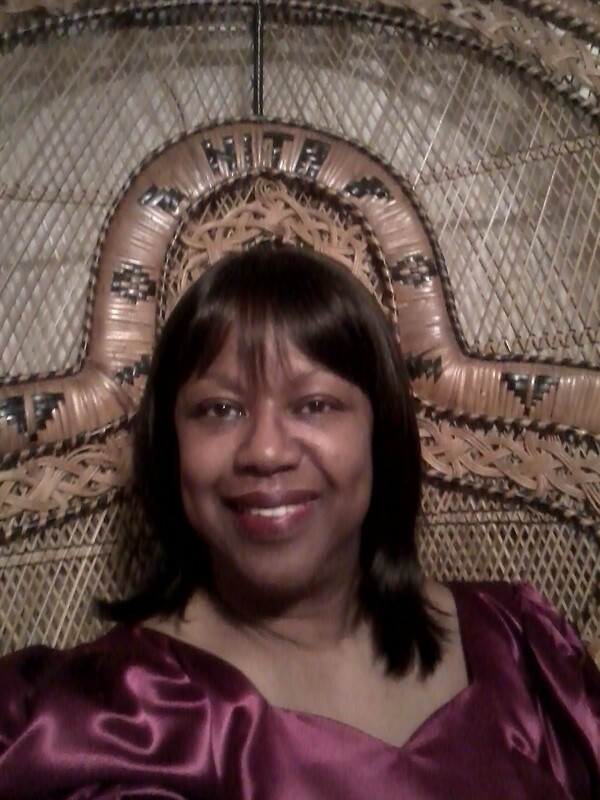 Juanita– My youngest brother and my husband were my biggest supporters. I think my husband was glad when I finished it, because he and my dog were almost transparent for nearly nine months. Amy-On average, how many minutes a day did you spend working on your book, both mentally and physically? Juanita– I would spend about two hours each night when I got home from work—during the week, and about five hours on Saturday and Sunday. Amy– And just for fun and to give the readers an insight to you: If you could put a soundtrack with your book, what are some of the songs that would be on it? There are so many songs that would fit this story. JUANITA AYDLETTE was born in Shreveport, Louisiana—presently resides in Garland, Texas with her husband and little dog. Juanita decided to fulfill her life-long dream to become a published author, after reading a series of novels that brought back childhood memories of her obsession with fairies, genies and magical lands. 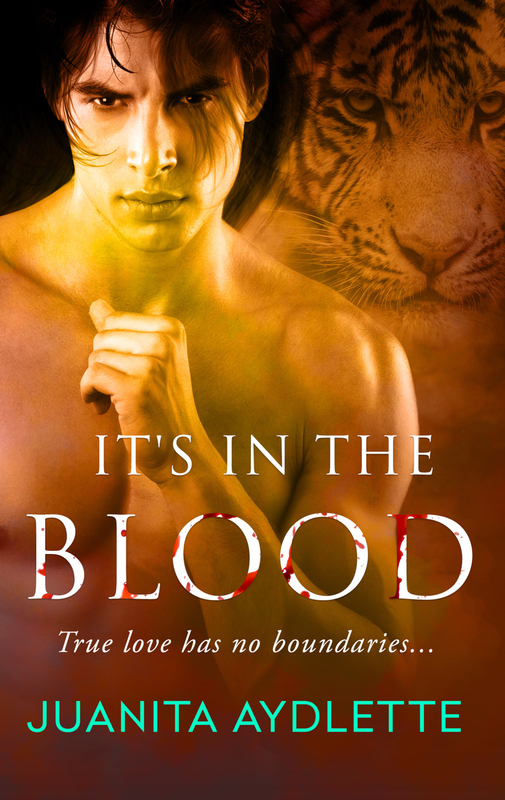 “IT’S IN THE BLOOD”, a powerful love story, is filled with passion, suspense and un-dying devotion. The sequel “BLOOD TIES” is a continuation of events that plagues the Caiubi family. It is targeted for publication in late 2015. The Cover For My Book!! Hello Everybody! I am so excited to announce that my first book, Angel in the Shadows, is set to be released by Soul Mate Publishing on July 15, 2015. I can’t tell you how much it means to me but here is the cover. I am adding a little bit about the book below so please share your opinion with me. Thank you and enjoy! Madison Sinclair is a smart-mouthed photographer that enjoys the simple things in life. Recently landing a job at one of Manhattan’s top imaging companies, she works hard to prove herself but often falls short of the mark. Taking pictures of the New York scenery, relaxing at home with a glass of wine, and caring for her stray cat is usually the highlight of her day. Nice, quiet, simple. It’s the perfect life. But when her best friend cons her into covering a charity event for a multi-millionaire, Madison’s life suddenly becomes anything but simple as she finds herself in a constant race for survival. There is nowhere she can turn, no one she can trust. Seth Reynolds has been in the game a long time. He knows how to get in, get a job done, and get out with no complications and no witnesses. The constant stress of the job is beginning to take its toll but he is not a man that gives up easily. Trained to be cold and heartless, he is committed to follow through with this mission no matter what. Racing against an impossible time table, everything is in place to take out the madman intent on destroying New York City. But when the naïve Madison Sinclair stumbles into his world, all of his carefully laid plans go to hell. She stiffened in his arms and although he had made a second mistake in less than twenty-four hours, he was not about to pull away. She just tasted too good and it had been a long time since he indulged in such simple pleasures. Suddenly though, he remembered that he wasn’t like everyone else. Of course he wasn’t, how could have he forgotten? Changing the intensity of the kiss, it became rough and demanding, insisting on something he knew she would never go through with. It wasn’t in her. Which was just fine with him. He didn’t need this distraction right now or ever. Madison struggled to move away from him and after a small moment, he released her. Her skin was flushed and her breath came in short, uneven bursts. But before she could get too far, he gripped her wrists tightly, feeling his fingers sink deep into her skin. There would probably be bruises but that was something to worry about later. If there was a later. Pulling her back to him, he stared into her eyes, seeing the fear and lust there, mingled together in an intoxicating mixture. “What’s wrong, isn’t this what you want?” he asked, his voice fierce. The woman was trembling in his grasp and he could feel her pulse slamming against the soft, thin spot in her wrist. Holding her firmly in place, she couldn’t free herself from his rough grip. “No, I…” she whispered breathlessly. “Come on, Ms. Sinclair, let’s not play games. Let’s see if you can distract me long enough to get away. That’s what you were hoping to do, right?” he asked, his voice mocking and cold. The hurt in her eyes was immediate and sharp. He’d cut her deep with that particular barb but he wasn’t done with her just yet. This game was getting old and he needed to find out who she was instead of relishing the taste of her mouth. There were several ways to get the information from her and while they were more pleasant, he didn’t have time for that. He’d wasted too much time with her already. Opting for another tactic, he should feel sick for what he was about to do but instead, there was nothing, no feeling at all. “Tell me,” Seth murmured, “what were you doing at Vance’s house? You weren’t the photographer hired to cover the party.” Decisively, he squeezed tighter, drawing a soft whimper from her lips. Tightening his grip, he could feel the fragile bones in her wrist as they rubbed together. She cried out involuntarily and then as quick as it began, it was over. He loosened his grip slightly, letting his thumb caress the place where he had squeezed her wrist, soothing the pain he had caused her. “I don’t know what you want…” Her words were cut off as he squeezed her wrist again, this time, increasing the pain. She bit her bottom lip in an attempt to hold in a gasp. Again, he loosened his cruel grip, gently stroking the red marks on her wrists. She looked up into his eyes, the deep brown of hers burning into the blueness of his. Tears shimmered on her thick lashes. He wanted the truth and he would hurt her until she told him. Peering into her face, Seth searched for what he needed to know. His thoughts underwent a rapid re-adjustment as he considered her words. 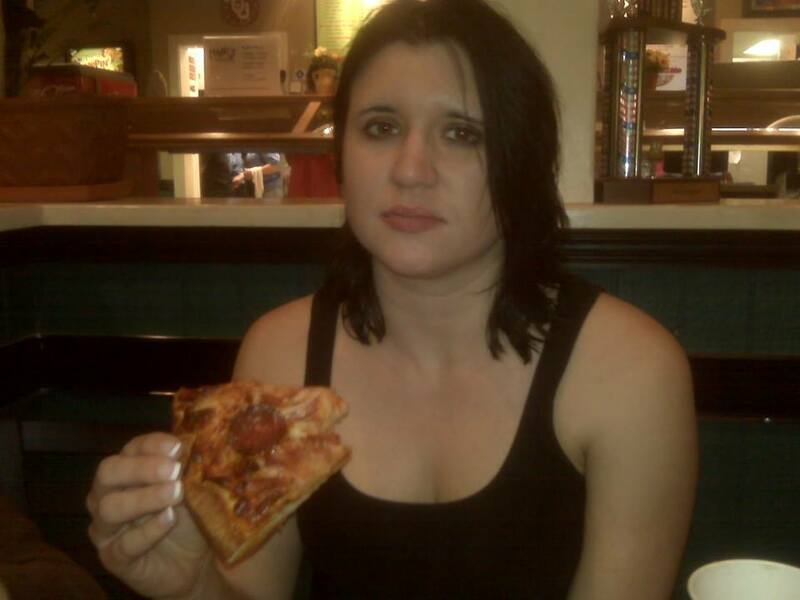 Perhaps she was just as she appeared, an innocent bystander. Someone in the wrong place at the wrong time. Great. Just what he needed. He was going to have to play this carefully or it would all be blown to hell. Looking down at her, he could see the bare, naked truth shining in her eyes. And below it, the torrent of emotions raged within her, painting her face. The pain and anger intermingled enticingly with the remains of desire and fear. Lord, he needed to get away from her before he did something he would really regret. “I don’t like you using my first name,” she managed to reply in a strangled voice, rubbing absently at the throbbing pain in her wrists, her eyes lowered to conceal the tears that began to streak down her pale cheeks. Seth glared at her blackly. “What makes you think I care what you like?” Without waiting for an answer, he let himself out, locking the door behind him, sealing her inside. This Week’s Read: Christina Kirby!! Hi everybody! 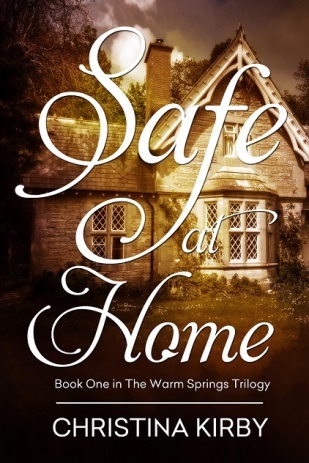 This week on my blog I am hosting author Christina Kirby and her book Safe At Home. Just from reading the excerpt of this book makes me want to keep reading. Please be sure to check it out. Enjoy! 1. How important are character names in your books? How did you choose them? I tend to play around with names until I think they sound good together. Naturally, I pay more attention to the hero and heroine, but I also think it matters where your story takes place. Different regions, different trends. As far as choosing names, I use friends’ names or kids I’ve met in playgroups. Really anywhere I hear one that speaks to me. 2. Are there certain scenes that are harder for you to write than others? Action? Racy? Love/ Suspense? Strange though it may be, I have the hardest time writing the in between scenes. The ones that are supposed to be natural all while not boring the reader. Action keeps attention, racy keeps attention, but the times between sometimes cause me the most effort. The hard part is making it seem effortless. 3. Is there any type of book that you never see yourself writing? Historical. I have a huge amount of respect for authors that write historical romance. The amount of research that goes into the details is astonishing. 4. What’s your favorite part of being a writer? When a reader loves a story I’ve written, it makes all the long hours and stress worth it. My goal is to entertain, so when someone is entertained, I consider it a job well done. 5. If your book could be made into a movie, who would play the main characters? I am so excited!! 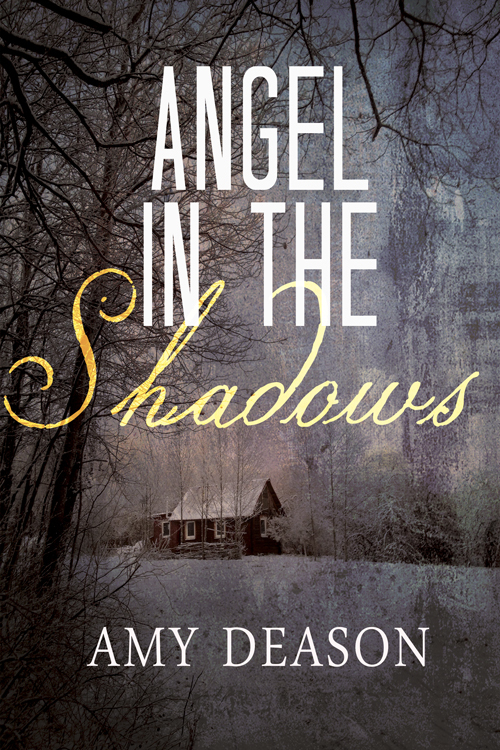 My first book, Angel in the Shadows, is set to be released on July 15th!! I can’t quite believe it! It would be great if it made a ton of money-of course it would- but just to have a book written by ME, MY work out there is INCREDIBLE!! !